This upscale hotel in the Theater District is less than 1 mile from the Kringle’s Inventionasium® Experience, a mile from the Rock and Roll Hall of Fame & Museum and 4 miles from the Cleveland Museum of Art. 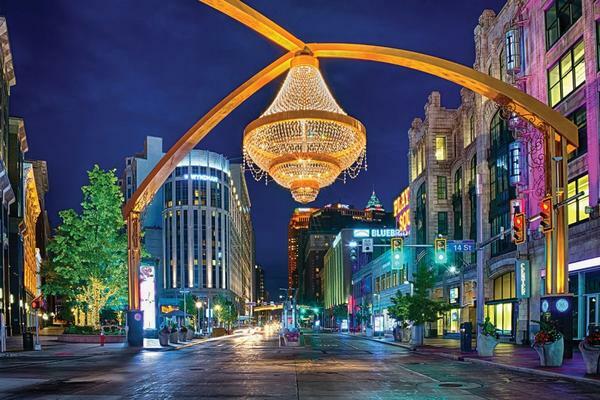 Located in the vibrant theater district, right on glittering Playhouse Square, the Wyndham Hotel Cleveland at Playhouse Square hotel will leave guests cheering for more. 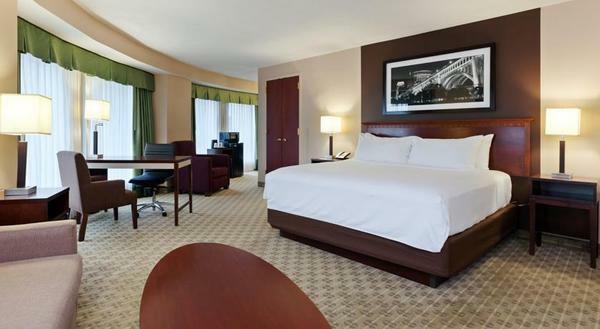 After a recent multi-million dollar renovation, the property provides everything both leisure and business travelers desire, with more reasons than ever for guests to make this their top choice hotel in Cleveland, Ohio. The intimate lobby and a staff that’s always ready to help make this boutique-style hotel a great place to wind down after a night on the town. 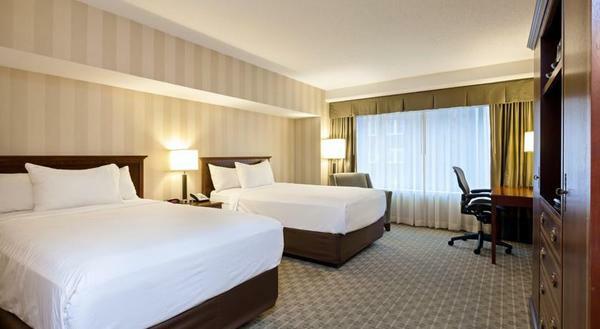 The polished rooms feature free Wi-Fi, flat-screen TVs, desks and coffeemakers. Suites add separate living areas with pull-out sofas and some offer skyline views. Room service is available. Amenities include a traditional restaurant/bar, an indoor pool, a whirlpool and a sauna, as well as an exercise room. There’s also a business center and meeting space. Parking is available for a fee.